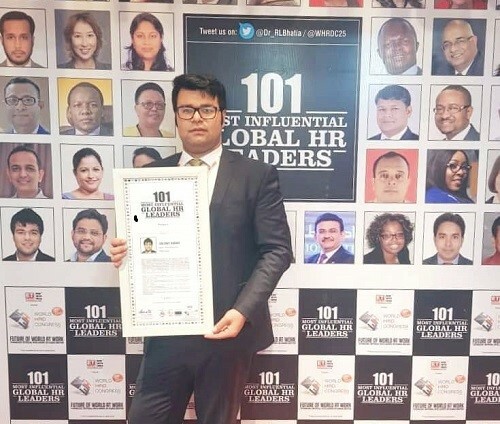 Zalmay Akbar has recently become part of the 101 most influential leaders as a leading figure with expertise in Human Resources Management. Mr. Akbar received his award last month from WORLD HRD CONGRESS. He is a strategic and professional manager in human resources who focuses more on work efficiency. He is currently working as a human resources capital and talent in leadership capacity in one of the largest companies in Afghanistan. Zalmay is implementing the best methods of human resource management in various organizations. Mr. Akbar says that through implementation of human resource strategies, he tries to get tangible results from his works. He closely works with senior executives to align their companies’ vision and purpose and through utilization of global policies and bureaucracies, he strives to increase the effectiveness of workforce. Bringing changes at the management level, identifying the necessary improvements, healthy management to lead workforce towards goals, coaching and changing strategies for employees are among the major management and leadership roles that Mr. Akbar cover in his daily activities. Improving human resources, controlling risks in various business units through effective use of business processes and experiences of companies’ owners, is another goal of Mr. Akbar in the human resources sector. Mr. Akbar’s successful record in leadership, management, motivation and education of individuals and teams, astonished the panel of juries at the World Congress on Human Resources, something that helped him be one of the 101 leaders in the human resources sector. Zalmay Akbar has worked with various organizations for the past 12 years now, including banks, the media and the education sector in the human resources sector. Currently, Mr. Akbar is “Moby Group’s” human resources director in Afghanistan. The most important responsibilities of Mr. Akbar in this organization are design and implementation of an evaluation system, bonus system set up, recruitment system, employee policy, as well as personal planning for the progression of employees in different sectors. Mr. Akbar says that one of the reasons that the “World Congress of Human Resources” has chosen him out of 1800 people from 133 countries, among 101 leaders of the world in human resources, was his good background. He elaborates that, in human resource section he has done the work based on international norms and methods. “Human resources in Afghanistan and other places in the world are different, and we need to consider the problems of people and proceed accordingly, “Abkar told Reporterly. Zalmay says that while human resources in Afghanistan have good methods and qualities, but three principles of human recourses (3 C) including commitment, culture and communication are of particular importance in human resources. He emphasizes that, in the light of these three principles, a policy should be applied so that the employees can work freely within its framework, have the opportunity to be effective and be protected. Mr. Akbar says that despite the loss of many of his colleagues in Moby Group in 2016 in a terrorist incident that targeted his colleagues, he still continues to work and tries to have a policy that can protect their human resources. Along with the work that Mr. Akbar has done in various organizations in the human resources field, he also has a membership of the Global Standards for Human Resources website. What made him shine more in human resources is his higher education. Mr. Akbar has a master’s degree in human resources that is why he is familiar with domestic and international standards and practices. Nangargar is one of Afghanistan’s most insecure provinces in eastern Afghanistan. The name of this province has always been tied with war, violence and terrorist groups. But this is home and the birthplace of young Afghan champions such as Rashed Khan, Afghan Cricket Champion and Mr. Zalmay Akbar. The youth who have managed to grow and emerge strong from amidst the battle and they’ve managed to grab the opportunity and are now proud to represent their people to rise the pacifism flag at a global level. Zalmay was born in Nangarhar. During the Taliban regime, he migrated to neighboring country Pakistan. He studied and finished his primary education in a private Afghan refugee school and earned his BA in management and business. Mr. Akbar obtained his master’s degree in human resource, along with that, managed to acquire some short-term management and leadership courses. In addition to his higher studies, he undertook activities in education with a focus on human resource and also taught in private and public schools. 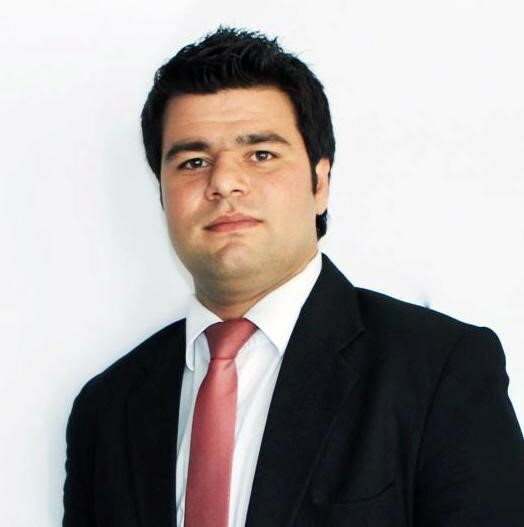 After the collapse of Taliban regime in Afghanistan, Zalmay Akbar and his family returned to Afghanistan in 2009 and he began his work journey with various Afghan organizations in the human resource area. 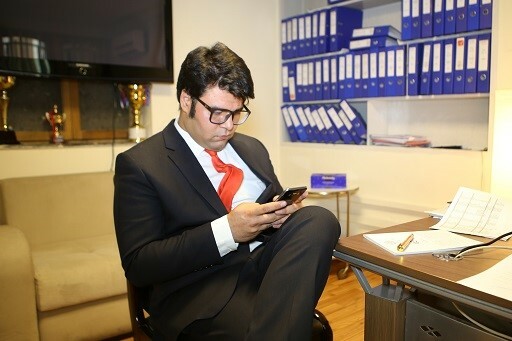 His first work experience in Afghanistan goes to the period he worked with Afghanistan’s private bank called “Bakhtar Bank” where he worked as head of human resources for some time. Later Akbar reached another milestone, as he obtained a membership of a German organization that was active in the field of young leaders. From a hundred people he was selected as a young leader, and for a year he received management and leadership training for the organization. Zalmay Akbar joined the Moby Media Group in 2010 and was responsible for the human resources department. He has been working with this company for 9 years. Zalmay Abkar says that, the biggest challenge in the human resources sector in Afghanistan is the lack of enough capacity building, which has increased the unemployment rate in the country. According to him, low human resource capacities in Afghanistan have led big private companies to recruit their staff from abroad. Mr. Akbar said that, the other challenge in human resource in Afghanistan is the lack of awareness of young people in employment methods. He says, most young people do not know how to apply in a job announcement.